Distant jobs can sometimes be an obstacle with scheduling challenges and delivery costs. MKT hears the question, “How can you do this so cost-effectively?” Our answer: not every job is created equally and not every distant job cost more. Three factors come into play when making delivery runs that are further away for us: Organization, Communication and Automation. Take a glimpse of this work-in-progress project, Byrne Dairy… located in Cortland, New York, 245 miles away. As they finish their new construction for their expansion, MKT is supplying a little bit of everything to them: spiral duct, rooftop, rectangular duct and welded stainless exhaust. Timeframe and distance is the challenge. 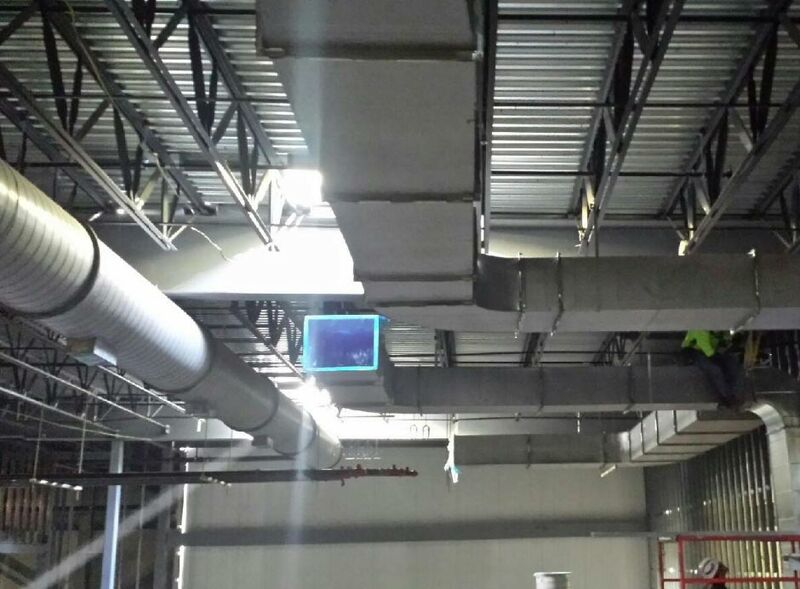 Mark Reinhart, Site Foreman said, “The only complaint is that the duct is too straight”. We are pretty sure he was joking, but if that’s the only complaint, we’ll take it. Next time you have a project that you might feel to far for MKT, pick up the phone and reach out – we are sure you’ll be pleasantly surprised at our willingness to work with you.